A fun ride with all my favorite items! 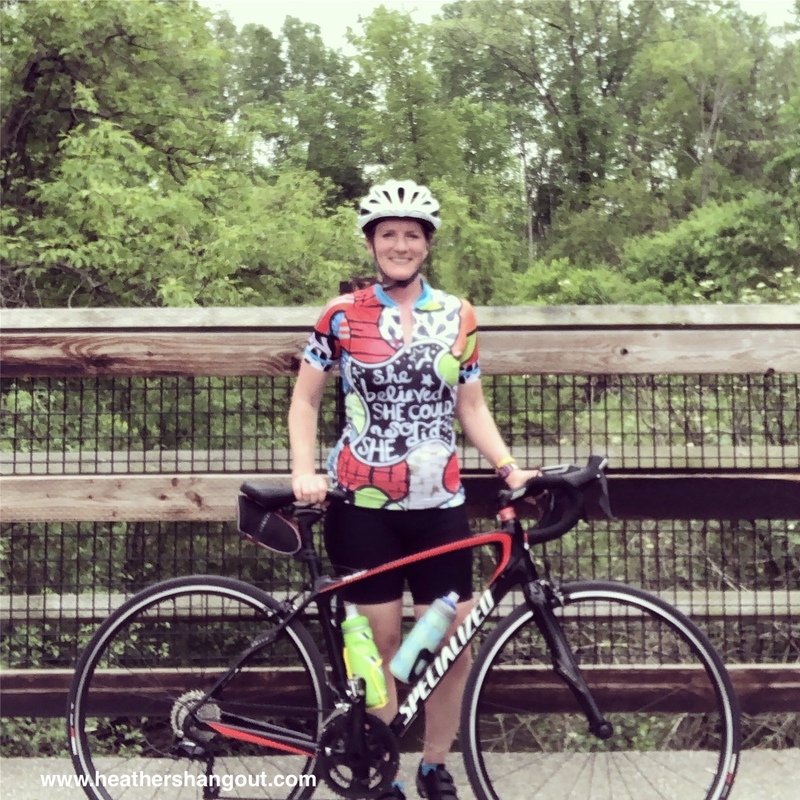 As you may have guessed, I’ve been spending lots of time on my road bike as I prepare to ride across Iowa during RAGBRAI to raise funds for LIVESTRONG’s programs for cancer survivors, caregivers and their families. It took a while for Mother Nature to bless us with warm and dry temps so I could get outside on my bike. I just love being outdoors, no matter what I’m doing. But cycling definitely has captured my heart and attention. It’s a great way to be outdoors and get some great exercise and clear the mind. My body, mind and spirit feel so awesome after a ride. In my haste to hustle to the road, I sometimes catch myself forgetting some items (like the time I ran out the door, realizing that I forgot my shoes!). While it’s kind of obvious that I need my bike and clothing, I put together a quick check list of other items to keep me organized. Helmet. Please always wear a helmet, even when “just biking in the neighborhood” (I hear this excuse all the time). A helmet can truly save your life and prevent minor and major brain trauma. Cycling shoes. These shoes have cleats that clip into my pedals. Garmin. 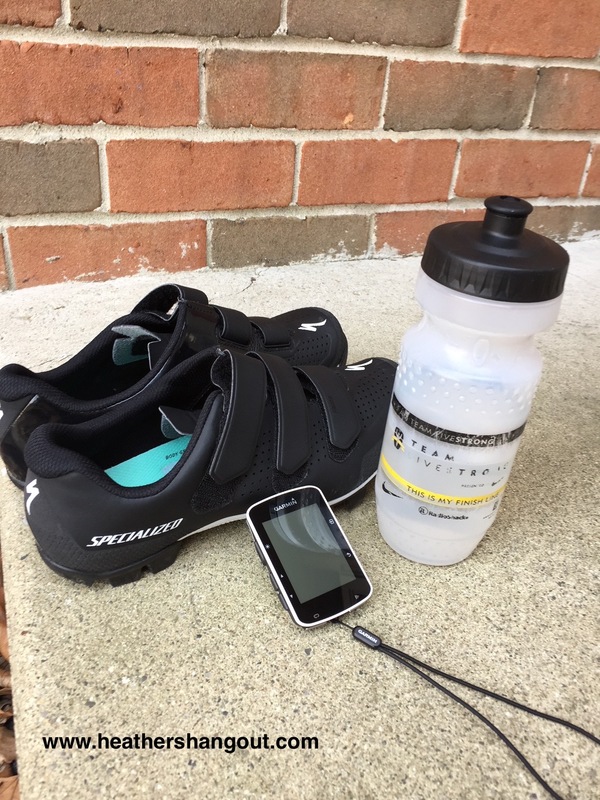 This device tracks my mileage, speed and cadence, and lets me know time of day, which helps because I often lose track of time when I’m having fun on a bike ride. Chamois cream. Apply liberally in the ‘good places’ for a much more comfortable ride! Sunglasses. I’ve found that even on not so bright days, the sunglasses help keep my eyes dry and bug-free. Sunscreen. Never leave home without it, nor without wearing. If you missed my post about sun safety tips, you can read it here. Water and nutrition. It’s important to stay hydrated and energized when exercising. Biking during the hot temps can especially dehydrate you so bring water bottles. I add electrolyte tablets or powder to my bottles to help along the way. Spare tube, CO2 cartridge. I always pray for no flats but sometimes life throws you some learning opportunities. Road ID bracelet. I wear this any time I bike or hike in case of emergencies. It lists my emergency contact and alerts people that I have a titanium rod in my femur/knee. Phone. I usually put my phone on vibrate once I’m actually on the bike, but I like to carry this especially when I’m biking alone. It’s good to have in case of an emergency. And I’ll admit it – I often take pictures along the route so the phone doubles as my camera. I also text my mom and/or sisters when I get on the trail and again when I’m off so someone knows where I am (I send my parking location and which trail I’m heading out on). Some additional optional items include sun sleeves and cycling gloves. Do you have an other items on your cycling checklist? Any favorite items?